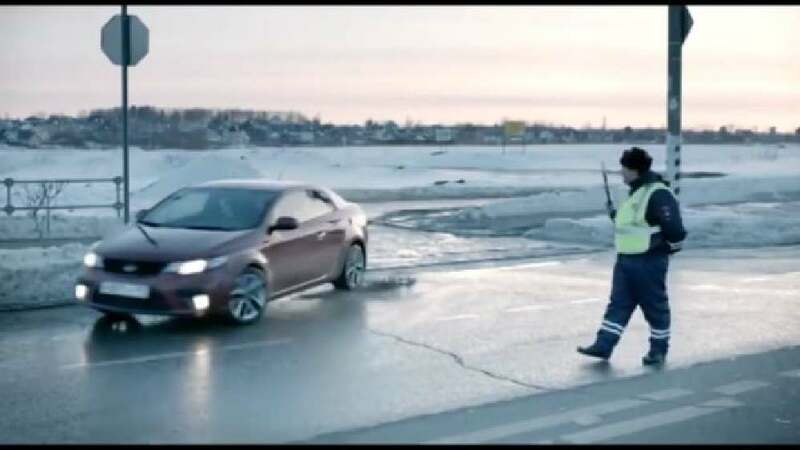 In order to illustrate how people can do fitness anytime and anywhere without having to join a fitness club, this TV video ad shows a traffic policeman at work. Walking along a road in uniform, he encounters a car coming around the corner. The policeman directs the car to keep moving and continues to stay in motion. He even starts moving and spinning his left hand, then does the same with his right hand and even starts jumping. All in all, it looks as if the policeman were exercising by following his very own personal fitness programme.